Today we are launching a very unique fundraiser for us here at Charity Ball. 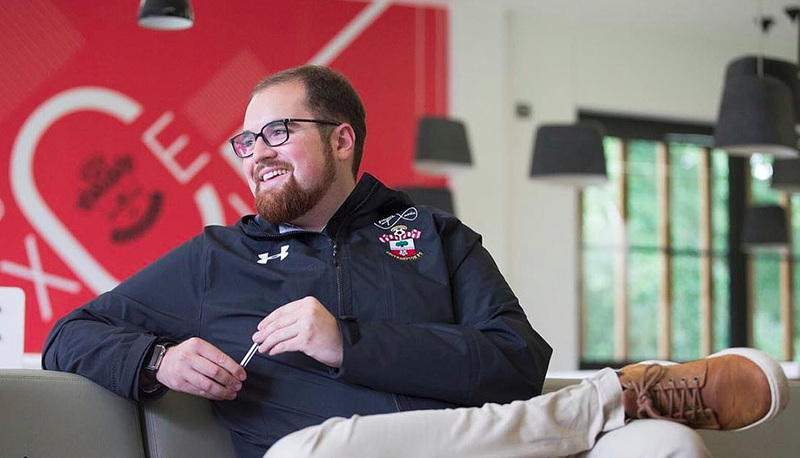 This is the first time we have been given an official jersey from a historic English club, Southampton FC, which has been signed by the ENTIRE first team. You can now enter to win this awesome and distinct prize. However, I thought the back story behind the jersey would be worth noting, especially for die hard soccer fans. The main man behind this jersey donation is Hugo Scheckter (@hugoscheckter on twitter). Hugo was born in the great state of Georgia (USA) and now lives in London. Soccer has been an integral part of Hugo’s life and career, which started with coaching in high school. He then studied Sports Business at George Washington University and continued to coach club and high school soccer. After graduating from GWU he was hired by Indy Eleven, an NASL team at the time. 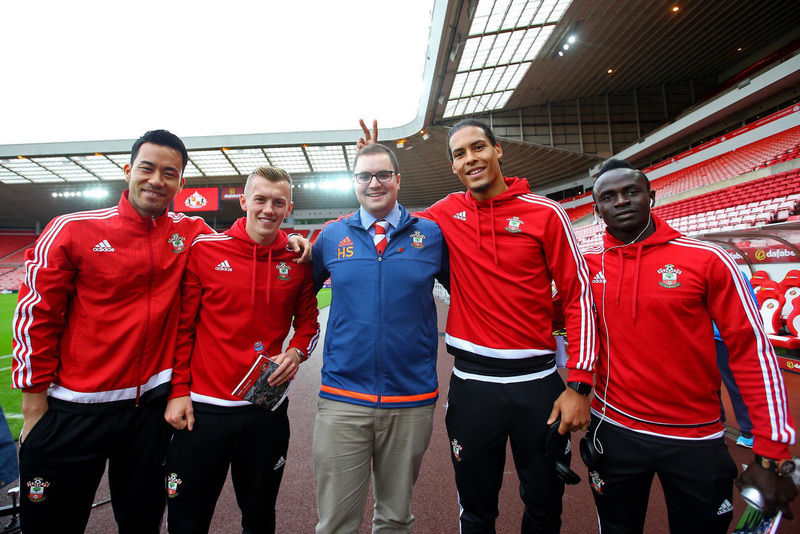 He then progressed to work as a Player Liaison Officer for Southampton FC for 3.5 years. This past March, he signed on with West Ham to work as their Head of Player Care. As the Head of Player Care, Hugo’s primary objective is to make sure the players have everything they need off the field so they can be their best on the field. 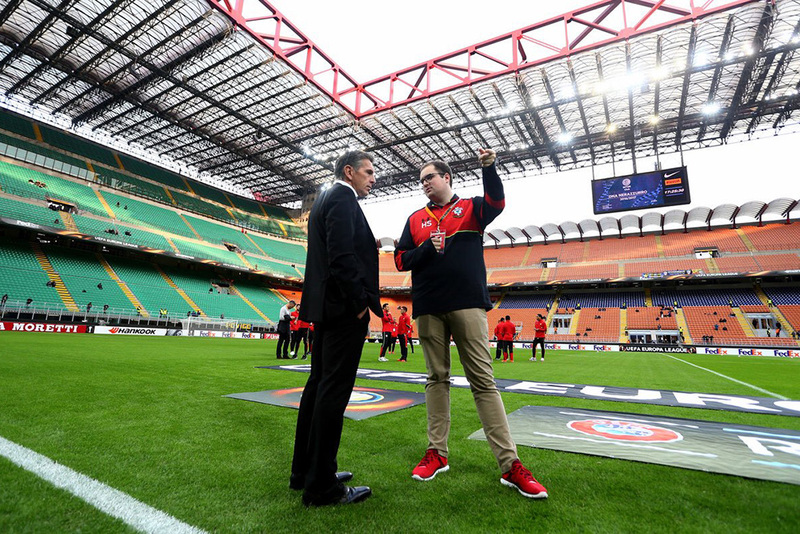 On match days he arrives 5 hours before kick off to arrange reserve tickets for players’ friends and families, set up sponsor visits and organize pre match meals. Once warm up begins Hugo’s work is more relaxed and he gets to take in the game from the bench. He really enjoys the relationships he gets to build with both players and their families. Hugo found us on Twitter and wanted to get involved with us right away. He loved how Charity Ball is different from many other charities in that we use soccer as a medium to improve children’s lives across the globe. You can expect to see more collaborations between Charity Ball and Hugo in the future! Now that you know the story behind the jersey be sure to check out our online raffle drawing below for the signed Southampton Jersey. 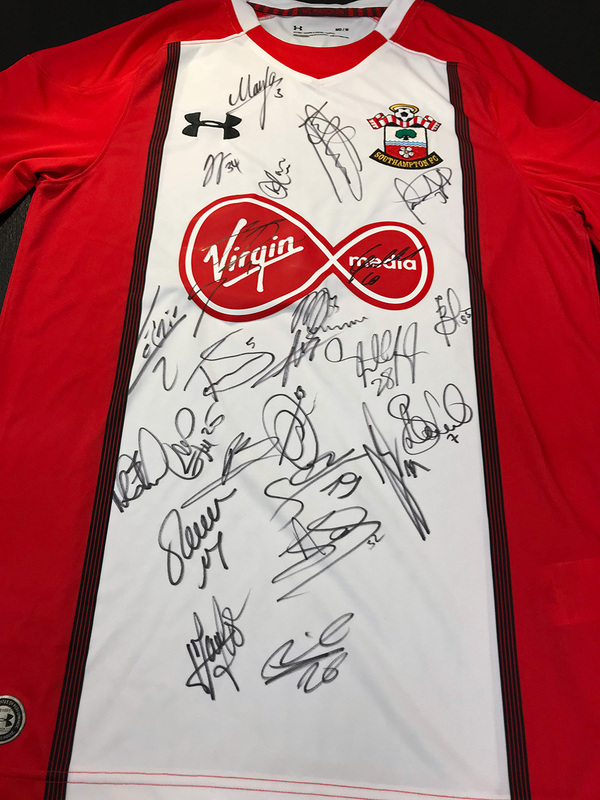 WIN THIS SIGNED SOUTHAMPTON JERSEY! For every $25 you donate (using the link below) your name will be entered into a drawing and a new, quality soccer ball will be given to a child. Enter as many times as you like. Winner will be announced at half time during the FA Cup Semi-Final, Southampton vs Chelsea (April 22, 2018).